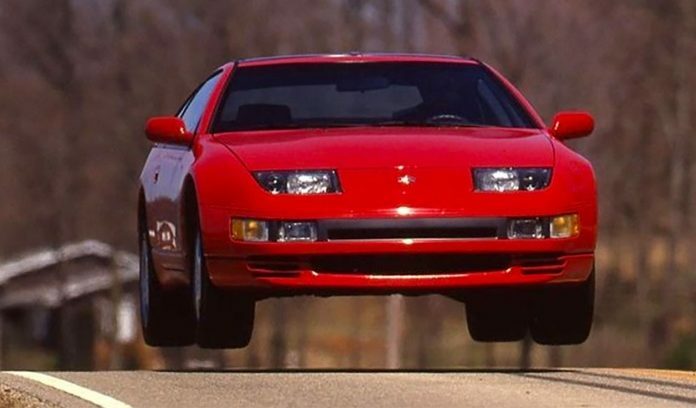 Even though it doesn’t seem like it, the `90s were a very interesting decade in modern car history. The industry changed quite a bit and manufacturers introduced new solutions, concepts, and trends. In performance car field, power levels were up from the `80s and customers finally had a lot of choices when buying a muscle car, hot hatch or performance sedan. However, despite the fact that some models are highly prized collectibles nowadays, there are still more than a few forgotten performance cars from the `90s that deserve more respect. Today, we will showcase 20 most interesting of them. This crazy and menacing sedan is virtually unknown in the USA despite the fact it was produced by GM`s subsidiary Opel in Germany and Vauxhall in the UK, and it once claimed the title of the world`s fastest four-door. Introduced in 1990 and discontinued in 1992, Omega Lotus was Opel`s rear-wheel-drive luxury model tuned by renowned British sports car maker Lotus and given a turbocharger on top of the already powerful stock six-cylinder engine. The 3.6-liter six delivered 377 hp which was massive for the standards of the day and the performance was thrilling as well. The 0 to 60 mph run was over in just 5.2 seconds and top speed was record-breaking 177 mph. Lotus did the finishing and fine-tuning of vehicles produced and delivered by Opel and the body kit, spoiler, and special details were all installed in England. The car was sold in just one color, called Imperial Green which was a shade of dark green. Apart from small spoiler and fender flares, the Lotus Omega looked the same as the regular production model and it can easily be mistaken for a boring and slow diesel sedan. Unfortunately, the production numbers were low due to several aspects. First, Opel and Vauxhall were considered economy car manufacturers and Omega Lotus/Lotus Carlton was a pretty expensive car with the price roughly the same as a fully optioned Jaguar XJ, for example. Second, the recession of the early `90s hit the market hard. So, in the end, Opel and Lotus made only 950 cars which are valuable classics today, and their prices are slowly rising as a result of that.